The South Cobb Arts Alliance offers a whole host of ways for you and your family to experience art here in South Cobb, with something for everyone. Whether it is an art exhibit at one of our area galleries, a student artwork show, a national juried show or a photography exhibit, we aim to include and inspire all art enthusiasts. South Cobb Arts Alliance hosts exhibits which rotate every two to three months at various locations as well as cornerstone events such as the National Juried Exhibit (since 1987), Photography Exhibit and other special fine arts and crafts events. 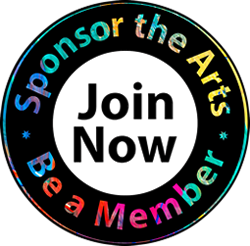 We sponsor art gallery exhibits year-round, as well as hold juried art shows. We host artists in public spaces to allow everyone the opportunity to view art in person, as we continue expanding our art gallery locations to accommodate a growing number of local artists and art enthusiast visitors. If you’d like to sponsor or host an art show, please contact us for more information. If you are an artist and wanting more information about SCAA Artist Calls, solo exhibits, or being a volunteer curator or part of the Exhibit Commiteee, please call or e-mail SCAA. Whether a painter, sculptor, poet, musician or actor, artists all have a desire to express what they feel and to create something of great value. They challenge the status quo, open doors to new ways of seeing the world and encourage us to reach out, and to connect with each other. Exhibits are a vital part of our organization and key to a future where artists and art educators as well as their students reconnect with our communities, especially with those who might otherwise not partake in the Arts. SCAA Juried Shows and other Exhibits offer opportunities to see the best in local and national art, just around the corner in your neighborhood. SCAA welcomes artists and art educators to request information about SCAA exhibit events such as the National Juried Exhibit, the Photography Show, the annual Member Show or other artist and member opportunities whether visual, sculpture or arts and crafts. Metro Atlanta Artist groups and others can also inquire as to the availability to exhibit and partner events. We invite you to be part of an organization of artists, educators and art lovers approaching 50 years, established 1972! Sign up for e-mails or check Facebook for postings of artist and community workshop sessions, exhibits and more. Join our volunteers with outreach initiatives to schools as well as to other organizations and the public. Actively participate: Become a mentor sharing your skills as an artist. Volunteer as a gallery committee assistant, gaining exposure to the inner-workings of an art gallery. Share your skills in a workshop session. Be part of the fun while offering a helping hand as part of our all volunteer organization. As we develop more programming for our artists, keep in touch.